For reviews, ratings, traveler tips, and more tourist information, use the Madrid trip planner. Cairo, Egypt to Madrid is an approximately 7.5-hour flight. You can also drive. The time zone changes from Eastern European Time (EET) to Central European Time (CET), which is usually a -1 hour difference. Traveling from Cairo in August, Madrid is little chillier at night with lows of 22°C. Finish your sightseeing early on the 5th (Sun) so you can take a train to Zaragoza. 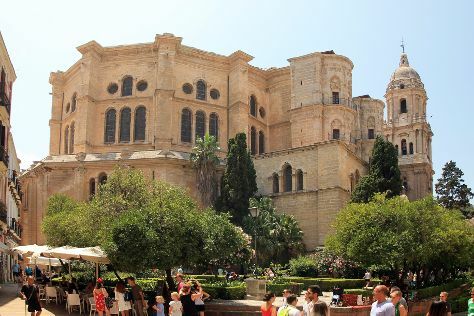 Start off your visit on the 6th (Mon): contemplate the long history of Basilica de Nuestra Senora del Pilar, contemplate in the serene atmosphere at Catedral del Salvador de Zaragoza, then admire the landmark architecture of Palacio de la Aljaferia, and finally take in the architecture and atmosphere at Monasterio de Piedra. To see reviews, other places to visit, and more tourist information, go to the Zaragoza route website . You can take a train from Madrid to Zaragoza in 1.5 hours. Alternatively, you can drive; or take a bus. In August, plan for daily highs up to 38°C, and evening lows to 21°C. Cap off your sightseeing on the 6th (Mon) early enough to travel to Ibiza Town. Start off your visit on the 7th (Tue): step into the grandiose world of Castle of Ibiza, then take a stroll through Dalt Vila, and then stroll through Platja de ses Salines. To see photos, where to stay, and more tourist information, read Ibiza Town trip itinerary planning tool . Traveling by flight from Zaragoza to Ibiza Town takes 3 hours. Alternatively, you can do a combination of train and flight; or do a combination of car and ferry. Traveling from Zaragoza in August, expect somewhat warmer with lows of 26°C in Ibiza Town. Cap off your sightseeing on the 7th (Tue) early enough to travel to Seville. On the 8th (Wed), take a stroll through Barrio Santa Cruz, take in nature's colorful creations at Royal Alcázar of Seville, and then admire the striking features of Plaza de Espana. For where to stay, ratings, photos, and more tourist information, you can read our Seville trip planner . Traveling by flight from Ibiza Town to Seville takes 3 hours. Alternatively, you can do a combination of ferry and car; or do a combination of ferry and train. Traveling from Ibiza Town in August, plan for slightly colder nights in Seville, with lows around 23°C. Finish up your sightseeing early on the 8th (Wed) so you can catch the train to Cordoba. Start off your visit on the 9th (Thu): make a trip to Historic Centre of Cordoba, contemplate the long history of Alcazar de los Reyes Cristianos, take in the spiritual surroundings of Mezquita Cathedral de Cordoba, then appreciate the extensive heritage of Jewish Quarter (Juderia), and finally take in the views from Roman Bridge. For ratings, reviews, maps, and tourist information, read Cordoba trip itinerary planner . You can take a train from Seville to Cordoba in an hour. Alternatively, you can drive; or take a bus. When traveling from Seville in August, plan for somewhat warmer days and about the same nights in Cordoba: temperatures range from 43°C by day to 22°C at night. Wrap up your sightseeing on the 9th (Thu) to allow time to take a train to Malaga. Kick off your visit on the 10th (Fri): take a stroll through La Carihuela, then step into the grandiose world of Castillo de Gibralfaro, then contemplate in the serene atmosphere at Malaga Cathedral, and finally explore the world behind art at Museo Picasso Malaga. To see ratings and other tourist information, refer to the Malaga trip itinerary planning website . Take a train from Cordoba to Malaga in 1.5 hours. Alternatively, you can drive; or take a bus. Traveling from Cordoba in August, expect nights in Malaga to be about the same, around 26°C, while days are slightly colder, around 36°C. 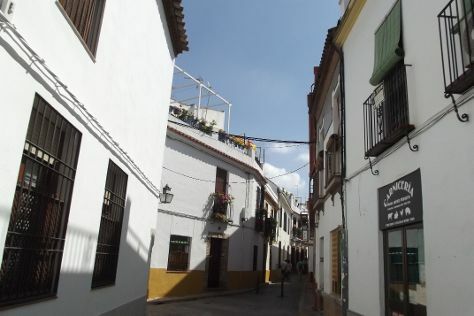 Finish up your sightseeing early on the 10th (Fri) so you can go by car to Granada. 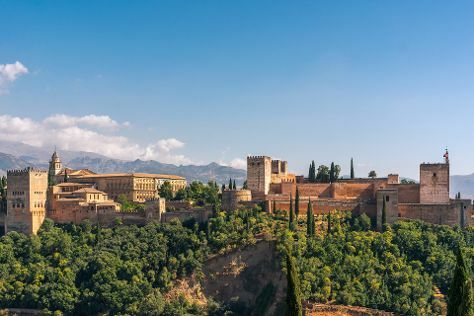 Start off your visit on the 11th (Sat): get to know the fascinating history of Albayzin, admire the natural beauty at Generalife, and then explore the historical opulence of Alhambra. To find maps, traveler tips, photos, and other tourist information, read Granada journey planner. Getting from Malaga to Granada by car takes about 1.5 hours. Other options: take a bus. Plan for a bit cooler nights when traveling from Malaga in August since evenings lows in Granada dip to 22°C. Finish your sightseeing early on the 11th (Sat) so you can travel to Barcelona. Kick off your visit on the 12th (Sun): pause for some photo ops at Casa Batllo, pause for some serene contemplation at Basilica of the Sagrada Familia, and then take in the architecture and atmosphere at Barcelona Cathedral. To find ratings, where to stay, photos, and other tourist information, use the Barcelona online day trip planner . Fly from Granada to Barcelona in 4 hours. Alternatively, you can do a combination of train, taxi, and flight; or drive. When traveling from Granada in August, plan for little chillier days and about the same nights in Barcelona: temperatures range from 33°C by day to 25°C at night. Finish your sightseeing early on the 12th (Sun) to allow enough time to travel back home.